Although antiviral therapy against HIV suppresses viral replication and allows infected individuals to live relatively healthy lives for many years, the virus persists in the body, and replication resumes if treatment is interrupted. Today, investigators from Massachusetts General Hospital (MGH) and the Ragon Institute of MGH, MIT and Harvard announced that they may have found where the virus hides -- in a small group of recently identified T cells with stem-cell-like properties. "Most human cells are short lived, so it has been unclear how HIV manages to stick around for decades in spite of very effective antiviral treatment. 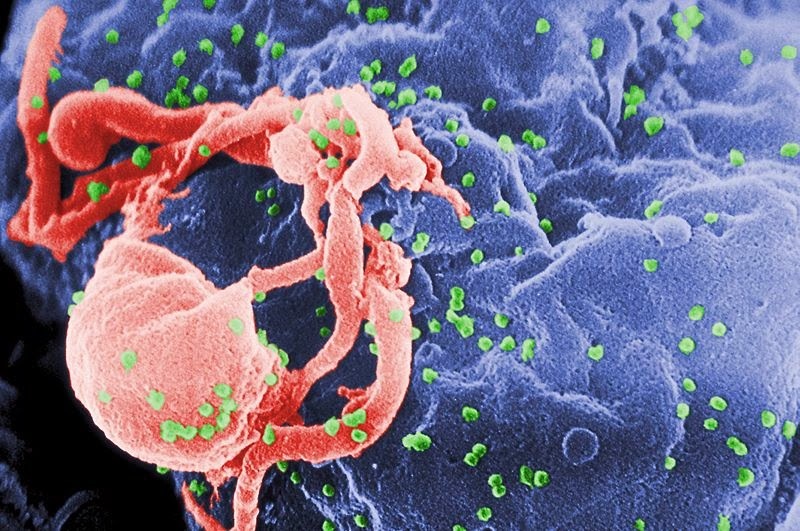 This question led to the hypothesis that HIV might infect stem cells -- the most long-lasting cells in the body -- but traditional organ-specific stem cells, even those that give rise to all immune and blood cells, are resistant to HIV infection. We have discovered that a new group of T cells, called T memory stem cells, are susceptible to HIV and likely represent the longest lasting cellular niche for the virus." said Mathias Lichterfeld, MD, of the MGH Infectious Disease Division, corresponding author of the report receiving advance online publication inNature Medicine. HIV has such a devastating impact on the human immune system because it infects the CD4-positive T cells that normally direct and support the infection-fighting activities of other immune cells. Several subtypes of CD4 T cells have different functions; and all are capable of being infected by HIV, although antiviral treatment keeps the virus in those cells from replicating. 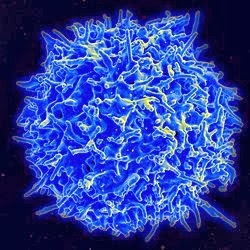 Most of these CD4 T cells are short-lived and die relatively soon. What is distinct about CD4 T memory stem cells is their ability to live for decades, while giving rise to several subgroups of T cells. Therefore, HIV-infected T memory stem cells could continuously regenerate new HIV-infected cells, fueling the fire of HIV persistence in the human body. The MGH/Ragon team found that T memory stem cells express both CD4 and CCR5 -- the receptor proteins used by HIV to enter cells -- suggesting that these long-lived cells could be the long-sought HIV reservoir. They then found that these cells can be readily infected with HIV, which was unexpected since traditional stem cells resist HIV infection. Importantly, the investigators found that levels of HIV DNA in patients receiving long-term antiviral treatment were highest in T memory stem cells. Testing blood samples that had been taken from patients soon after initial infection and several years later revealed that the viral sequences found in T memory stem cells after 6 to 10 years of treatment were similar to those found in circulating T cells soon after infection, indicating that HIV had persisted relatively unchanged in T memory stem cells. In addition, the amount of HIV DNA in these cells remained relatively stable over time, even after long-term treatment caused viral levels to drop in other T cell subsets. "Our findings suggest that novel, specific interventions will have to be designed to target HIV-infected T memory stem cells. Methods of inhibiting stem cell pathways are being studied to eliminate cancer stem cells, persistent cells that are responsible for tumor recurrence after conventional treatments kill proliferating tumor cells. We are now investigating whether any of the drugs that target cancer stem cells might be effective against HIV-infected T memory stem cells. Identifying the reservoirs for HIV persistence is a critical step toward developing interventions that could induce a long-term remission without the need for antiviral medication, or possibly eliminate the virus entirely. Although a real cure for HIV has been elusive, it is not impossible." said Lichterfeld, an assistant professor of Medicine at Harvard Medical School.